How to choose Best Entertainment Unit for your place? Custom furniture designer will understand your requirement and accordingly craft furniture that suits your space and style. You can get your choice of furniture at affordable price especially designed for you. Here are some tips to choose or order custom made Entertainment Unit that suits your style. Your living room or media room is incomplete without Entertainment Unit or TV Cabinet. Entertainment unit is the best way to keep your media room tidy. Having entertainment unit is a great investment which will enhance your overall interior design. You can keep your TV and its accessories in entertainment unit also you can use it for showcasing decorative pieces. Entertainment unit is a multipurpose piece of furniture which is available in various timbers, sizes and styles. This multipurpose furniture is used for holding electronic media devices and also used for storage of CDs, DVDs and other media equipments. 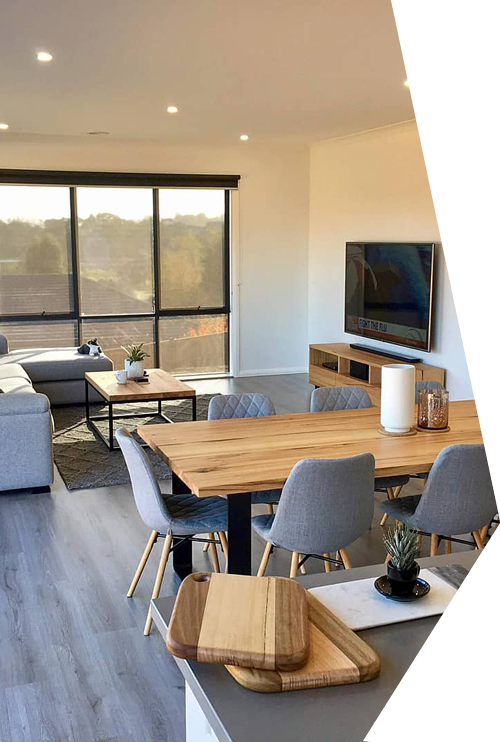 In Melbourne, you will get variety of Entertainment Units that are readily available but the main disadvantage of getting such piece of furniture is that it may not fit in your existing decor style. So instead of that you can choose to have custom made entertainment unit that will be the best fit for your place as you can customize it as per your room requirement. Survey the size of the room where you want to place Entertainment unit. Proper utilization of corner of the room will save space. Make your custom order according to the available space. Customized size of Entertainment unit will be installed perfectly at your decided space. Also you must consider your seating arrangement to select the height of the unit so that everyone should be able to get a proper view of TV set. Shape of the entertainment unit should be in accordance with your existing interior. There should be adequate space in between wall and TV placement so that TV will not get heated up. 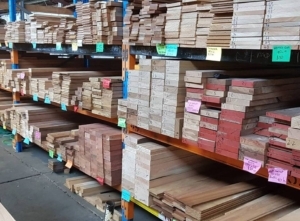 There is a wide range of timbers available in Melbourne such as Victorian Ash, Oak heart, Backbutt, Jarrah, Tasmanian Oak, Stringy Bark, Messmate, Spotted Gum, Blackwood, Wormy Chestnut, Mahogany, American Oak, American Ash and so on. You have to consider your room color and other room specifications to choose the best suitable timber for your Entertainment Unit. Select the durable timber material for your custom furniture in Melbourne. 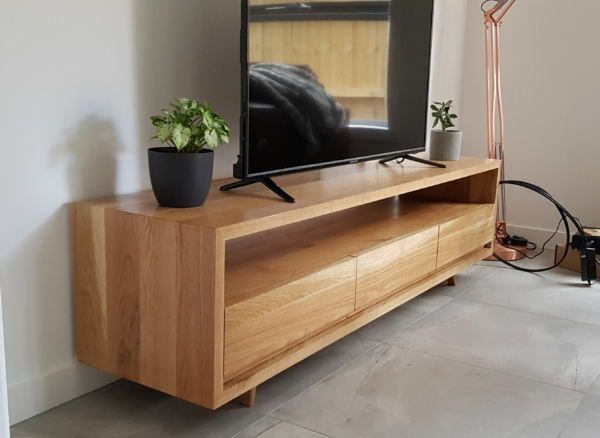 Also ask for the osmo oil finish for your custom made Entertainment Unit. Burnishing effect with osmo oil gives long lasting glossy look to your designer Entertainment Unit. Get sufficient drawers and shelves attached with your modern Entertainment Unit. You need storage space for books, CDs, DVDs, games consoles etc. so you have to make sure that there is enough space for storage. Also to avoid entanglement of wires of your media devices, there should be sufficient space. This space will be used to manage all wires and make it easy to access and connect to the media devices. If you will consider all the above points while purchasing or placing order for custom made Entertainment unit then you will get the best fit TV Cabinet for your place. You must have invested a lot in other furniture but buying entertainment unit will be the great investment. It is a durable piece of furniture which will be in your furniture family for long time. You just need to discuss your idea with a creative furniture designer and they will take care of the rest. At J R Bespoke Designs, you will get your stylish Entertainment units the way you want.